I couldn’t resist posting this image from my archives as a second response to Jen’s photo challenge this week. She writes that the word “seasons” need not only embody the “world or the weather” where we live but can also express “the seasonality of life itself”, and asks us to share an image from a period or phase in our lives that resonates with this. What could be more appropriate than this rather sombre photograph of me as a young student over fifty years ago playing the part of Sir Thomas More in an amateur production of Robert Bolt’s A Man for all Seasons. I was certainly no Paul Scofield, who played the part on the play’s opening night on July 1st 1960 at the Globe Theatre in London, but I believe I acquitted myself well enough. 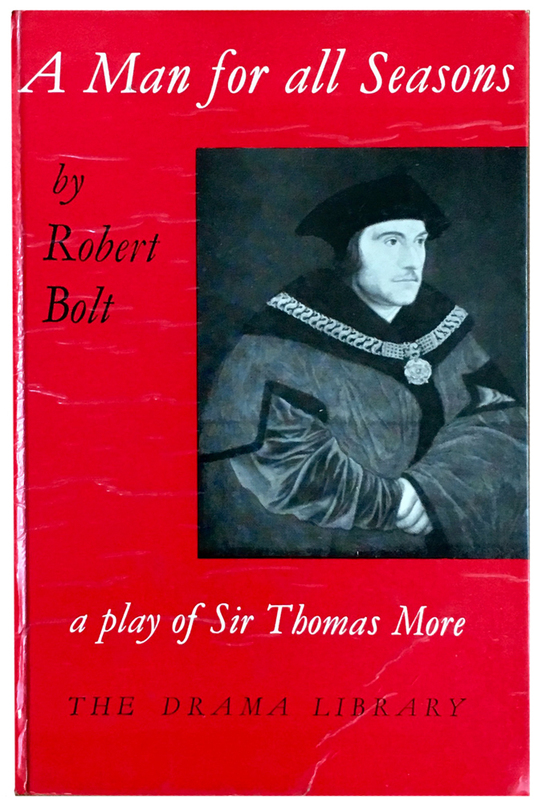 SIR THOMAS MORE: Late forties.Pale, middle-sized, not robust. But the life of the mind in him is so abundant and debonair that it illuminates the body. His movements are open and swift bur never wild, having a natural moderation . The face is intellectual and quickly delighted, the norm to which it returns serious and compassionate. Only in moments of high crisis does it become ascetic-though then freezingly. Was I debonair with a face that quickly delighted, becoming freezingly ascetic in moments of crisis? I somehow doubt it, and I’m not even sure I know what that means, but thinking back all those years ago and looking at the photo of me as a young man starting out on my life’s journey I feel the “seasonality of life” could not be better illustrated. Love this, I always like and appreciate it when the weekly photo challenges are challenging us to really think about what we choose as an image and I love to see if something is different from the norm. Usually with season everybody thought about the four season more or less, so I love your post! Love it too! I always enjoy looking back through your images Andrew. I loved that play very much. Very moving themes. Ah! Happy days indeed. What a treat to receive your lovely comment – the cheque’s in the mail 🙂 As to those compromising photos it would be Brazen of me to post them…m’dear. Much love to you too.